OverviewActivision brings billiards to the PlayStation with several traditional game types plus trick shot competitions and mini-games. 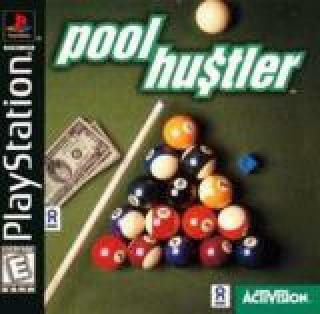 Pool Hustler is a one to two-player game that enables gamers to bet on games and make money from the win. The object in the Story Mode is to travel from pool hall to pool hall improving your game, betting and taking the cash to bigger and bigger gambles. Of course, the competition gets better too. Now you can add videos, screenshots, or other images (cover scans, disc scans, etc.) for Pool Hustler [NTSC-U] to Emuparadise. Do it now!